Glen Willow: A Land Legacy Protected! 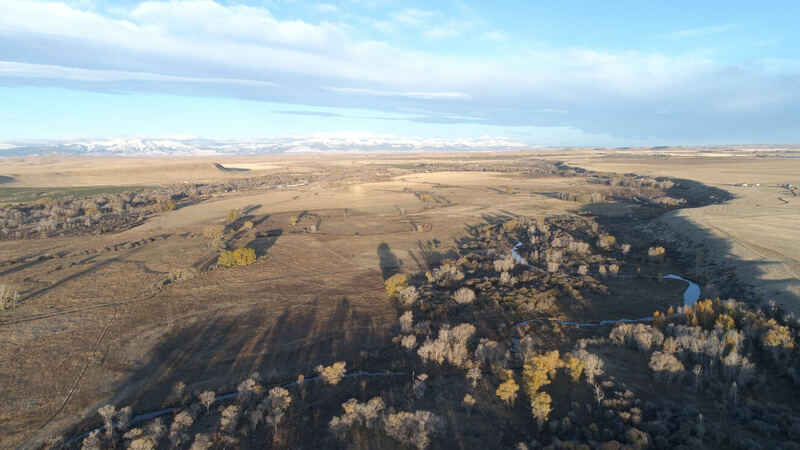 Overhead drone footage shows Glen Willow Ranch against the backdrop of Montana's Rocky Mountain Front Range. In partnership with Vital Ground and the U.S. Department of Agriculture Natural Resources Conservation Service, landowner Mary Sexton completed a conservation easement for the ranch this week. CHOTEAU, Mont. – When Mary Sexton had the chance to buy her grandfather’s ranch, she knew the decision was about far more than herself. 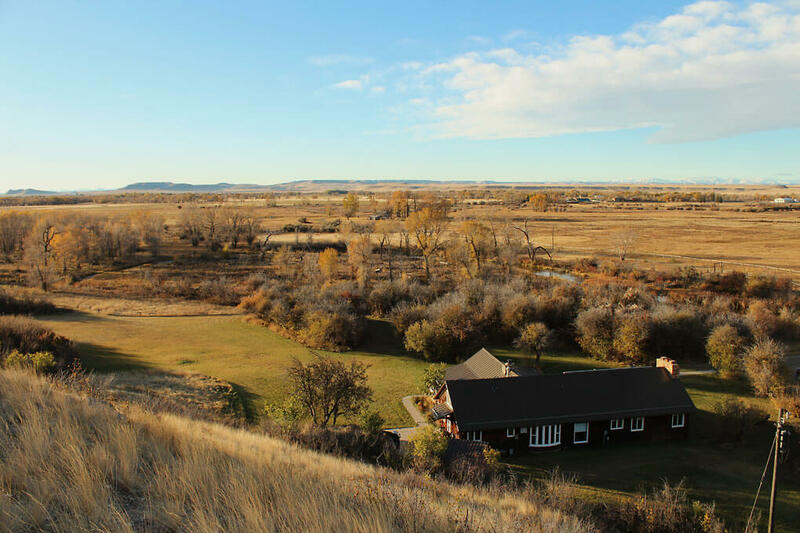 “It’s a small ranch that was my grandfather’s that I’ve been fortunate enough to get back into the family,” Sexton says of Glen Willow, a 650-acre spread just north of Choteau, Mont. With a long gravel drive winding east from U.S. Highway 89, the ranch is diverse and picturesque. A cottonwood-lined stream cuts through a corner of the property and a high bench of land rises behind the barn and ranch house, extending east onto a sea of plains. Twenty miles to the west, the Rocky Mountain Front Range articulates a jagged horizon, home to Glacier National Park and the Bob Marshall Wilderness. Now, the open space and natural resources of Glen Willow will be maintained in perpetuity. In collaboration with the U.S. Department of Agriculture Natural Resources Conservation Service (NRCS) and the Missoula-based Vital Ground Foundation, Sexton completed a conservation easement on Glen Willow earlier this week. Spend time on the land and it doesn’t take long to recognize the diverse values of Glen Willow. Spring Creek, a short tributary of the Teton River, offers habitat to wildlife ranging from deer and elk to waterfowl and the occasional grizzly bear. Elsewhere on the property, the ranch continues a rich agricultural history, producing grain and hay crops while grazing livestock. “We graze cattle and run some horses and do some farming,” says Sexton, who has owned the land since 2014. The ranch was originally consolidated by her grandfather in the 1930s. He had moved to the area from Iowa and was a doctor in Choteau. Over the years, he ran sheep, cattle and horses on the property in addition to raising turkeys as well as grain and hay crops. Because of its combined agricultural and habitat values, Glen Willow marked a strong opportunity for partnership between Vital Ground, a land trust focused on protecting wildlife habitat, and the NRCS Agricultural Land Easement (ALE) program. The national ALE fund assists farmers and ranchers who wish to keep their land in agriculture. With Vital Ground holding the ranch’s easement, it will never be subdivided and converted to dispersed residential or commercial development. Glen Willow’s riparian corridor accounts for about 100 acres of stream and wetland habitat, providing range for a multitude of native species. But the easement may prove especially beneficial to grizzly bears. The ranch continues to see grizzly traffic, especially during spring green-up, but Sexton and her family avoid encounters by minimizing attractants like loose livestock feed or garbage and making noise while carrying bear spray on parts of the ranch where bears may be present. With grizzlies continuing to reclaim historic habitat along central Montana’s plains and waterways, Vital Ground is committed to the safety of both people and wildlife in the area. In 2018, the organization supported Montana Fish, Wildlife & Parks in equipping operators and residents along the Rocky Mountain Front with electric fencing, airhorns and other tools to prevent bear-related conflicts on agricultural lands. At Glen Willow, the opportunity to protect key habitat while partnering with a diligent landowner drew Vital Ground to its first easement east of the Continental Divide. With the easement now in place, Vital Ground will hold development rights for Glen Willow in perpetuity. Through both land protection and conflict prevention, the organization will continue pursuing projects in the area that safeguard habitat and maintain tolerance for wildlife on agricultural lands. That dual commitment was key in bringing Vital Ground and Sexton together as conservation partners. In addition to NRCS funding and generous contributions by Sexton and other individuals, the project was supported by the Cross Charitable Foundation, M.J. Murdock Charitable Trust, William P. Wharton Trust, and the Pleaides Foundation. Beyond its iconic scenery and importance for wildlife, a conservation outcome at Glen Willow secures a multi-generational family legacy of care for the land. Learn more about Glen Willow via Vital Ground’s Project Atlas!